Her artistry has generated excitement across Europe and North America with recent engagements including Lucia and Konstanze in Zurich, Adele and Ophélie at the Met, Olympia, Zerbinetta and Cleopatra at the Opéra National de Paris, Sophie at La Scala Milan and in Berlin, Zerbinetta at Baden-Baden Festspielhaus, Covent Garden and in Munich, Donna Anna at Theater an der Wien as well as Semele at the Canadian Opera Company. 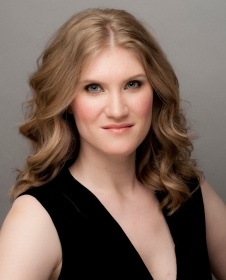 After beginning her professional opera career in her native Canada, Jane was an Adler Fellow and Merola participant with the San Francisco Opera. She then moved to the Vienna State Opera as a member of the ensemble, debuting many coloratura roles. The 2017/18 saw Jane performing frequently with the Canadian Opera Company as their first-ever Artist-in Residence, singing the roles of Zdenka in Arabella, Konstanze in Die Entführung aus dem Serail and the title role in The Nightingale and other Short Fables. She also performed Carmina Burana with the Orquesta Nacional d’Espana in Madrid and Armida in Rinaldo, on tour with the English Concert.